Are you looking for door, window and furniture fittings in one style? 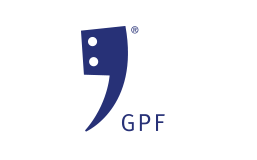 GPF building hardware is your perfect solution! The broad program with fittings can be applied everywhere in your house. Whether it’s inside or outside, on doors, windows or furniture: GPF offers qualitative solutions for everyone. The brand GPF consist of a wide range of building hardware. The main part is manufactured from brushed or polished stainless steel. If desired, the products are also available with a high-quality finish. Think for example about a black or white coating or PVD treatment. Besides that, GPF has aluminium and wrought iron products in her assortment. That’s what we call a wide range! 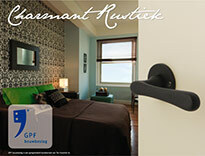 The most significant part of the products of GPF are door handles on rose or plate. There are a lot of possibilities when it comes to assembling of these because you can compose the door fittings yourself. In addition to our door handles for inside and outside, we sell more building hardware of this brand. For example, there are security fittings with high burglary protection, sliding door systems, pull handles, window furniture, mailboxes etcetera. It’s easy to provide your complete home with GPF products, and you get to choose its finish and form! The commonly used material for GPF’s products is stainless steel. This sturdy metal is available in a brushed and polished version. The stainless steel products are the basis for the finishes black, white, anthracite, blue, pink, PVD anthracite and PVD brass satin. And that results in surprisingly beautiful finished products! The products with a coloured coating are finished with an even surface of a grainy structure. The PVD products are always finished transparent and have a smooth and even finish. This way, you can see the brush of the stainless steel through the PVD coating. In addition to these products, there are also aluminium products for a modern interior and wrought iron articles for a rustic look. Discover the lifestyle that fits you best! The grouping of GPF’s lifestyles is based on the material, finish and design of the products. The lifestyle ‘Business & sporty’ contains an assortment of stainless steel products. ‘Modern & self-conscious’ contains the complete line of black, white and aluminium products. The PVD-series can be found under ‘Warm & dynamic’, and you find the wrought iron products at the ‘Charming & rustic’ lifestyle. Feel free to click through them and to discover your personal taste. By combining door handle, rose and plate you quickly choose your perfect door fittings. With the GPF CombiVari concept, you have freedom of choice for the composition of your GPF products. This CombiVari concept applies for example to door handles, for you have a choice for a plate or rose. To complete GPF CombiVari, you can add window furniture of GPF to your house. That way, even this part of your home has the same style. Besides separate pieces, there are also composite sets in our webshop. The security fittings of GPF building hardware have the Dutch SKG*** quality mark. The three stars represent the toughest burglar-resistant class possible for door and window fittings. All safety products of GPF succeeded successfully in the SKG*** testing. This means that the safety fittings meet strict requirements and provide five minutes of burglary delayoom.